Events That You Must Attend In Milan Design Week 2019 – From April 8th to April 14h, the design event iSaloni 2019 (Salone del Mobile.Milano) and the hype and design celebration of the top Design Districts of Milan (Fuorisalone), are back for another memorable week! Here is the complete design event guide for maximizing your personal Milan design experience. For one week, Milan is going to be the city where every interior designer and design lover wants to be… Besides the incredible Salone del Mobile.Milano), there are other design events that you can visit in Milano during Milan Design Week 2019! After the success of last year’s edition, the 58th Edition of iSaloni is ready to be bigger and better than ever. This international showcase dedicated to creativity and design is a forum for industry professionals, with more than 330,000 attendees on average, every year, from 165 different nations. This year the popular Milan Design Week will feature the the 58th Edition of the popular and powerful Salone Internazionale del Mobile event that is a global platform for truly top-notch products with an emphasis on innovation. Founded in 1961 as a vehicle for promoting Italian furniture and furnishings exports and soon became the most keenly awaited event in the world of furniture. This incredible event is separated into three style categories: Classic: Tradition in the Future, which draws on the values of tradition, craftsmanship and skill in the art of making furniture and objects in the classic style; Design, products that speak of functionality, innovation and boast a great sense of style and xLux, the section devoted to timeless luxury re-read in a contemporary key. 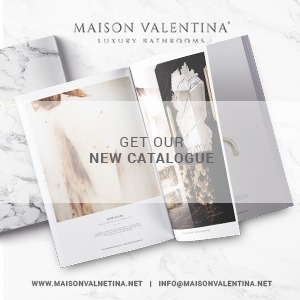 Launched in 1989, the exhibition rounds off the Salone Internazionale del Mobile trade events with a wide variety of products – furnishing accessories, objects, decorative pieces, textiles – and styles. This unique exhibition has become the sector’s leading event, showcasing an increasingly varied and comprehensive selection of excellent pieces year by year, encompassing the entire home furnishing system, ranging from decorative objects, furnishing accessories and textiles for the home decor. More than just an exhibition, it is a starting point for stimulating forward-looking ideas capable of catering to a changing market and changing needs. In other words. the Workplace3.0, an innovative exhibition area devoted to design and technology in workspace planning, that confirms its new vocation as an exploration of brand-new approaches and solutions to the workplace “of the future”, in which the human factor and smart technologies have a vital role to play. 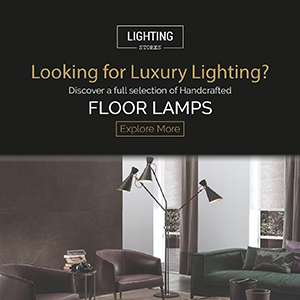 With more than 480 of the best exhibitors, the International Lighting Exhibition runs every two years since 2011 and presents the most innovative solutions in the field of light for interiors and exteriors. This event is recognized as the global benchmark lighting exhibition, where technological innovation and design culture take center stage. It is also the most avant-garde trade fair in the field of eco-sustainability and energy saving in both the decorative and the lighting technology sectors. With the focus on young designers, this design event instantly becomes the unrivaleded place for interface with manufacturers, talent scouts and the most promising young designers was essentially a declaration of faith in the creative potential of designers under 35. Many of the prototypes presented in the previous editions have gone into production, and many of the 10,000 designers who have taken part over the years, along with 270 international design schools, are now big names on the design scene. The former warehouses and factories area is now the major display platform featuring a slew of futuristic, original and experimental events. Big names and loads of emerging talents create an urban workshop of contemporary design. It’s at Tortona that we find the SUPERSTUDIO, the iconic place of design in Milan, the pioneer of the Fuorisalone phenomenon in the district, the most visited and sought-after place of the Tortona District since 2000. With its narrow, cobbled streets boasting a dense concentration of antique shops, galleries, showrooms and prestigious locations, this artsy neighborhood exudes a truly alluring, bohemian aura year-round. During the Fuorisalone, Brera is a territorial marketing project promoting excellence and commercial real estate development that offers a high-profile events calendar. This area spans from the Pinacoteca Ambrosiana, up to the Basilica of Sant’Ambrogio and the church of San Satiro, where Bramante worked. The 5vie District, that is simultaneously one of the city’s oldest but also emerging districts, involves a cultural and territorial marketing project to promote Milan’s Old Town. Under the rough tracks and characteristic vaults of the Milan’s Stazione Centrale creativity – a specific focus on design from the Netherlands and Belgium – takes center stage featuring an eclectic mix of contemporary design by showcasing both emerging as well as established brands. For the 2019 edition of the Fuorisalone, Ventura Projects and Grandi Stazioni have joined forces to devote the spaces of Magazzini Raccordati, within the Central District, to the world of fashion that will feature initiatives like fashion parades, exhibitions, cultural events and high-fashion shootings.